My little girls share a room and my cheeky youngest one has just moved out of her cot which has given me the perfect excuse for some re-decorating, ANY EXCUSE! This means I'm looking for a little new inspiration (cue: an excuse to spend hours on Pinterest, other fab blogs and beautiful online children's shops. 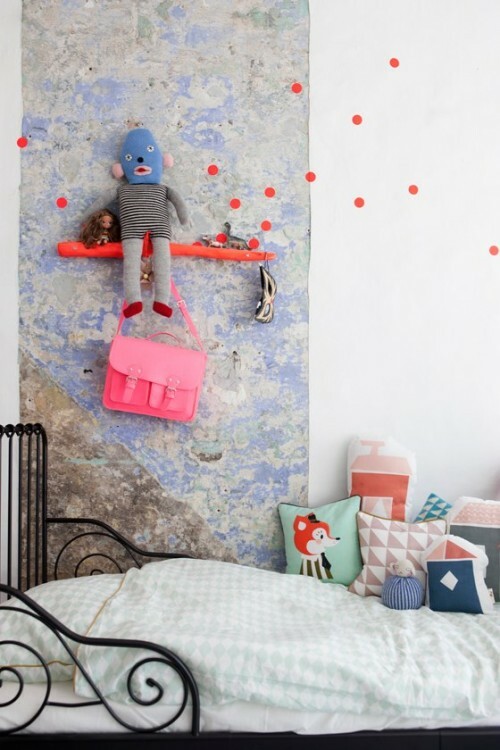 One of my favourite stores (as well as my sponsor), Ferm Living is never short of ideas for little children's rooms. I love this space for example. What do you think? I love the pretty colours, patterns and wall displays. The one thing I'd add though is a huge rug for some warmth. My girls have the same brio oven and the Minnen bed is from IKEA. I'm also looking for gorgeous matching bedding; the pretty yellow Dotty bedding from Ferm Living or the 'deer' bedding from By Nord. Hmm. What do you think? Or perhaps another tip?! One thing I have definitely decided on is the Inke Heiland April tree for their wall, so pretty! PPS For those of you more interested in big people things - how about this fab online shop 'rock n roll London' for vintage statement pieces in brass and metallics where 'more is more'?! Gorgeous bedding! I've only ever seen little baby cot bedding in this before. I love this Swedish brand :) You better have those children quick! Really nice! I'm also looking around for my little boy, who is getting a new room (since there's a baby coming, who will have his current room). So, I'm lookiing for more boyish things. I love the drawercabinet on one of the pictures you show, with the yellow/brown treas. Do you think that's just pretty wallpaper? I have a feeling its the dotty wall paper but it's worth checking out the ferm living site to double check? So exciting that you have a little baby on the way! 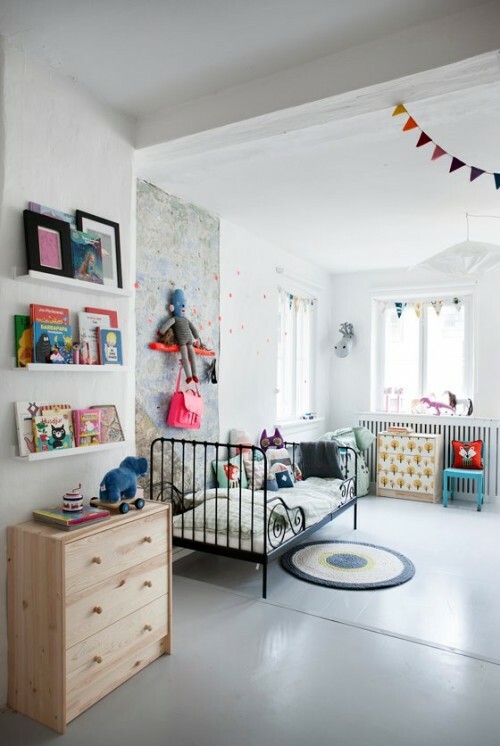 albertine, I promise to post a wonderful little boys room in the new year and dedicate the post to you! Very nice, not too Kutesy! May I suggest Painted Ponies bedding from Garnet Hill; all Gurlz love horses and it is a definitely a change from Disney Princess. There are lots of colors (other than pink) to pick up for walls, accessories. And, available in percale and flannel. This may be gifts for my Grands who share a room. 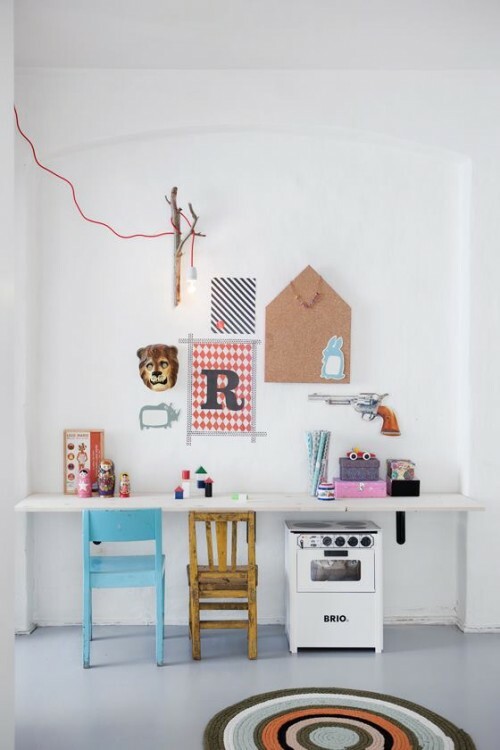 Gorgeous post, and how much fun is it decorating for the kids :). For bedding, this range by the British company Anorak is lovely - bold and fun without being cutsie, which is especially hard to find for boys, I think. So cute! Such a great tip, thank you! Hello, I'm first time at your blog. I saw this pictures on the Ferm Living Facebook page, and I really like them. Did you saw the room before the make over ? That's really inspiring, what you can do with not really special place! They did a fantastic job. Greetings, Agata. 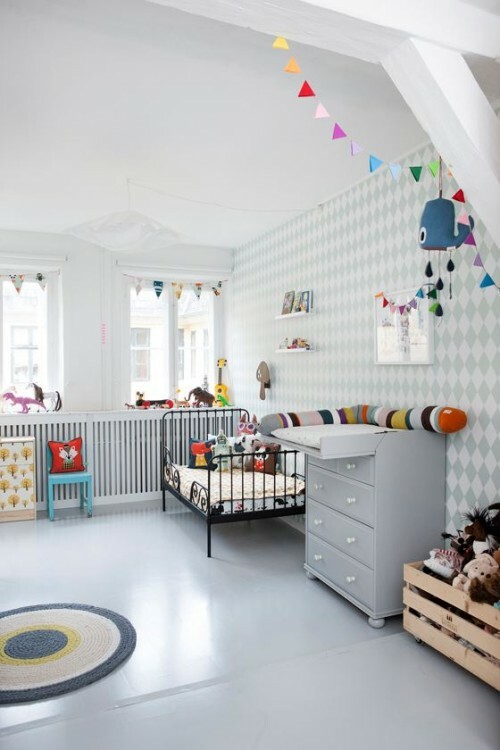 i love seeing childrens rooms (now that i have one, haha) - these are great! This is sweet but I'd definitely want to warm it up with some rugs too. My girls share a room also and they play so loudly in there that i have to put thick rugs on the wood floors to make sure we don't get complaints from our neighbors downstairs.